There are many reasons why Palin's decision to step down as Governor of Alaska is simply brilliant. It is a huge political gamble for herself personally. But I don't think that Palin cares about the way politics according to the pundits should be done. I think that she decided she had done all she could in Alaska, and it was time to close this chapter. Many people think that the Governor (for two more weeks anyway) is self-serving and politically ambitious. Are they nuts? What on earth has led them to think that? What about this decision, or any other decisions she has made in the past, leads them to believe that she has only her own ambitions on her mind? If that were true, trust me, she never would have made this move. It is brilliant in one sense, crazy in another, but it is altogether Sarah. I'll go into detail later, but this is what I will say for now: I believe that Sarah Palin has a true servant's heart. And that servant's heart leads her to want to be wherever she can do the most good. It just so happens that she has done all she can for Alaska, and she can now do more good elsewhere. Also, I have to say I love the party that many liberals are throwing. They're sipping champagne, wearing their little party hats and celebrating the idea that Sarah Palin is finished and done. They were never more wrong. They will look back and rue this day. The day they thought they had her beaten was the day that she beat them. So, Happy 4th of July to a now very independent Sarah Palin. Enjoy your new-found freedom. I find myself in an odd position (I'll explain later). Which, if any, of these statements do you disagree with? 1. All political power is inherent in the people; that all government originates with the people, is founded on their will only, is instituted to protect the rights of the individual. 2. All persons have a natural right to life, liberty, the pursuit of happiness, and the enjoyment of the rewards of their own industry. 3. All persons are equal and entitled to equal protection under the law. Good. What are the above statments? 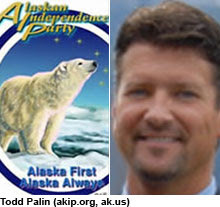 They are the preamble to the platform and goals of the Alaska Independence Party. 1. 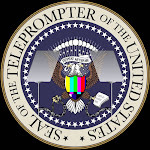 To effect full compliance with the constitutions of the United States of America and the State of Alaska. 2. To support and defend States' Rights, Individual Rights, Property Rights, and the Equal Footing Doctrine as guaranteed by the constitutions of the United States of America and the state of Alaska. Here is the link to their platform and goals. You will notice that there is no mention of secession. I find myself in the strange position of having to defend the Alaska Independence Party. Because of the emails that have surfaced between Palin and Schmidt about whether or not Todd was a believing member of that party. Now, the Left would have you believe that the AIP is some radical, secessionist group that hates America. On the contrary. I think they're closer to loving the principles of America than Washington D.C. is at this point. They clearly state in their platform that they support the United States Constitution along with Alaska's. They are not a lawless, nuke-happy organization. Now, I don't agree with all their tenants, and I doubt Todd does either, which is why the Palins say he registered as AIP by mistake. The AIP appears to lean libertarian, and I don't agree with all aspects of libertarianism, but there are some parts of it that are dead on. I don't throw out the baby with the bathwater. Now, given the position that the AIP takes on the Constitution and the blatant disregard that the federal government seems to have for the Constitution these days, it would naturally follow that the AIP doesn't rule out secession. As I've said before, good. That's that good old, independent spirit that said, "If Britain's going to ignore the law and push tyranny down our throats, we're not going to be part of Britain anymore." Folks, that's not hating America. That's about as American as you can get. So all this talk about whether or not Todd believed in the AIP, I believe, doesn't really matter anyway. But since it is now a topic, let's investigate a little further. As I've stated before, Sarah Palin alleged that Todd registered as part of the AIP by mistake, thinking that he was registering as Independent. Sarah Palin said in her emails to Schmidt that he caught his mistake when they moved and changed his party registration then. Todd was registered as a member of the AIP from 1995 to 2002, when he changed his registration. That's seven years, just like Sarah Palin said in her email to Schmidt (see the post below for the emails). It is also worth noting that Sarah Palin registered as Republican her whole life. You'll note that just plain "Independent" is not on the form, and Non-partisan and Undeclared are listed further down. If Todd just skimmed the form without looking too closely, I can see how it would be easy to check the wrong box. Inattentive, perhaps, but hardly scandalous. Sarah Palin described the option in her email to Schmidt as "Alaska Independent." Again, I don't know if the 1995 registration form was different or the same, so I have no idea if she is lying, misremembering, or telling the truth. Remembering exactly what a piece of paper said that you didn't even sign from seven years prior is quite a feat anyway. Before 2000, Alaska had blanket primaries where party affiliation didn't have anything to do with who you voted for, so if you made a mistake you would never have known it. 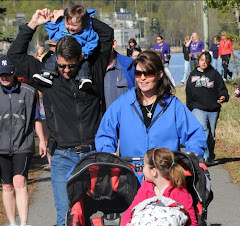 In 2002, the Palins moved to their current home in Wasilla. You only have to register to vote once, but when you move, you must change your address on the registration form. When they moved and went to change their addresses, Todd Palin checked a different box. Now, as I've said, I don't really have any bone to pick with the AIP anyway. But I don't see any evidence that either one of the Palins are anything but Republicans. If Sarah Palin wanted to secede from the union, she wouldn't be so all-fired anxious to get the Trans-Canada pipeline built. She would be focused on the All-Alaska gasline, which is what Wally Hickel (who once ran on the AIP ticket) wanted her to focus on. And then some have said, "Well, she went to the AIP convention in 2000." Yes, and where was the AIP convention held in 2000? That's right, in Wasilla. 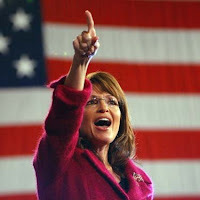 Now, many members of the AIP support Sarah Palin. But it would be nearly impossible for this not to be the case since the AIP is the largest third party of any of the states. Having said that, I think it's obvious that Sarah Palin (beyond the more obvious things like a firm belief in the Constitution and states' rights) does not adhere to many ideals of the AIP. If she did, she wouldn't have run for Vice President of the United States. I would even go so far as to say she probably doesn't like the element of the party that does advocate secession, since she referred to the party in her email as "anti-American." As Governor, she taped this video message for the AIP. In it she clearly referred to them as another party with different ideas and competing interests and that it was healthy to hear all voices in the debate, including theirs. What on earth is wrong with those statements? Some members of the AIP claim that Sarah Palin was a member of the party before she was mayor in 1996, but her registration records prove that she was Republican all the way from 1984 (in 1984, Sarah Palin was 20; it was also the first Presidential election year in which she could vote). She does tend to lean a little libertarian, which is why, I think, most members of the AIP love her and some like to claim her as one of their own. In conclusion, the Palins are not radicals, the AIP is not radical, and the Palins very much love the United States of America and haven't given up on it just yet. It's really no big deal, but people will grasp at any straw they can these days. The Vanity Fair piece is shedding alot of light onto the inner workings of the McCain campaign and its staffers, and I say, good. The more we know about these weasels, the better. Many things have hit the fan, but I want to address two right now: Todd's involvement with the Alaska Independence Party, and Andrew Sullivan's fascination with Sarah Palin's band-aid. "Pls get in front of that ridiculous issue that's cropped up all day today - two reporters, a protestor's sign, and many shout-outs all claiming Todd's involvement in an anti-American political party," Palin wrote. "It's bull, and I don't want to have to keep reacting to it ... Pls have statement given on this so it's put to bed." "Ignore it," he wrote. "He was a member of the aip? My understanding is yes. That is part of their platform. Do not engage the protestors. If a reporter asks say it is ridiculous. Todd loves america." "That's not part of their platform and he was only a 'member' bc independent alaskans too often check that 'Alaska independent' box on voter registrations thinking it just means non partisan," Palin wrote. "He caught his error when changing our address and checked the right box. I still want it fixed." "Secession," he wrote. "It is their entire reason for existence. A cursory examination of the website shows that the party exists for the purpose of seceding from the union. That is the stated goal on the front page of the web site. Our records indicate that todd was a member for seven years. If this is incorrect then we need to understand the discrepancy. The statement you are suggesting be released would be innaccurate. The innaccuracy would bring greater media attention to this matter and be a distraction. According to your staff there have been no media inquiries into this and you received no questions about it during your interviews. If you are asked about it you should smile and say many alaskans who love their country join the party because it speeks to a tradition of political independence. Todd loves his country We will not put out a statement and inflame this and create a situation where john has to adress this." Palin did not reply, and no statement was issued. For the record, I couldn't care less if Todd were a proud member of the AIP. Most, if not all bodies of land not directly attached to the Lower 48 (and some that are) have independence movements (Guam, Hawaii, etc...). And the frustration level that would lead to advocating secession is understandable considering that no one in Washington wants to listen to Alaska on issues like ANWR and insists on telling them what they can and can't do with their own resources. Many feel disenfranchised and unrepresented in Washington. This leads to that good old, independent spirit that led our founding fathers to cut themselves off from Great Britain. There is nothing wrong with that spirit, if anything, it's healthy. It shows an aversion to tyranny and a longing to be free and to make decisions for yourself. 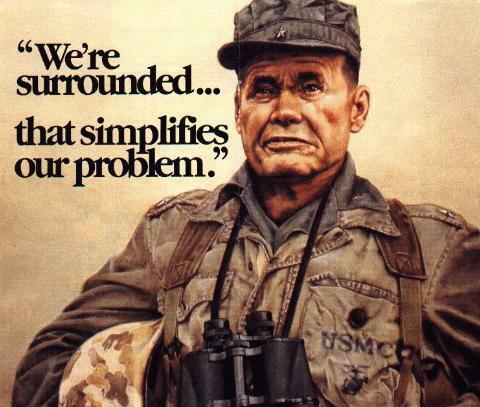 It doesn't mean you're a radical wacko who wants to nuke the Pentagon. The CBS article where I got the emails suggests that Palin lied about what the voter registration form actually said, and I don't know. I have never seen a voter registration form from Alaska, especially not from the year Todd registered. I don't even know what year that was, so I'm not going to go into that. It was at least seven years ago, and we can't remember every detail. I don't remember everything that happened yesterday, so, I don't really care about that part. 1. How many times does Schmidt think you register to vote? Annually? If you made a mistake on your registration form (as in, thinking you were registering as Independent, but in fact as a member of the AIP), why would you change it? As far as you know, it's correct. And if you think it's correct (I don't look at my initial voter registration every year to make sure it's still good) you will naturally just go along thinking all is well. It wouldn't be until you had to change something on that form or redo your registration (like when you move and get a new address) that you would catch the problem and correct it, which is exactly what Sarah Palin said happened. 2. The problem with Schmidt is that he believed the accusations. Schmidt was not in Palin's corner. He believed the accusations that Todd was a secessionist, etc... (Which, again, even if he was, I don't care). So rather than feel compelled to go out and correct the supposed misconception, his advice to Palin was to simply gloss it over with a smile and a non-answer. Oh, that worked out real well. To this day there are questions swirling around this issue. The right thing to do would have been to find out all of the facts and to present them. Period. Okay, enough of the Schmidt clown, on to the band-aid. Andrew Sullivan in the Daily Dish seems real concerned with Sarah Palin's truthfulness. The most pressing thing on his mind today? In her interview with Runner's World (which is an awesome interview, by the way) she said that she swore her security detail to secrecy and thought that no one knew about how she cut her hand while running. "I keenly remember watching the news the day of the big VP debate. I remembered as she came down the stairs off the plane in St. Louis that she had the bandage on the palm of her hand as she waved, and the newscaster told how she had injured her hand in a fall while running." Notice that his accusation is not that she lied about her story, but that she lied about how many people knew about the story. That's not a lie, that's not knowing how many people knew about the story (like I've said before, she was in a bubble during the campaign). If this is an example of how dishonest Sarah Palin is, she's got nothing to worry about. These people who claim they hate Palin so much, I actually think are obsessed with her. Only someone with an obsession would pick on something as innocuous as a band-aid. First of all, I am now a monthly donor to SarahPac, thank you Todd Purdum. When can we expect a similar hit piece on Obama, seeing as he's the actual President and all, hmmmmmm? 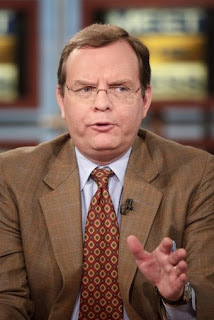 Todd Purdum's Vanity Fair hit piece on Palin is almost not worth a rebuttal. It's the same old spittle from the campaign trail warmed over, most of which I won't bother going into since it's already been rebutted about five hundred years ago (approximately). 1. I read this and went, "awwwwwwww...."
"In the run-up to the Couric interview, Palin had become preoccupied with a far more parochial concern: answering a humdrum written questionnaire from her hometown newspaper, the Frontiersman. McCain aides saw it as easy stuff, the usual boilerplate, the work of 20 minutes or so, but Palin worried intently. "At the same time, she grew concerned that her approval ratings back home in Alaska were sagging as she embraced the role of McCain’s bad cop. To keep her happy, the chief McCain strategist, Steve Schmidt, agreed to conduct a onetime poll of 300 Alaska voters. It would prove to Palin, Schmidt thought,that everything was all right." Even in a Palin hit piece, Purdum rolls out what many anklebiters in Alaska have been saying that Palin doesn't have anymore: a concern for her state and her constituents, even during the campaign itself. (sticking out tongue) So there. I find it hard to believe that Palin had a problem playing "bad cop," when she continues to strongly criticize Obama's policies. So I don't actually believe the charge, I just think it's ironic that even something meant to smear Palin could be turned to her advantage. Take that "she-doesn't-care-about-anything-but-her-own-career-advancement"- Dan Fagan. 2. What kind of idiots were these McCain people? They obviously didn't know her, didn't know how to handle her. Common sense would tell you to hire somebody from Alaska who normally works with her to tag along on the campaign trail. Instead they tried to take Joan of Arc and put her in ballet slippers. It just didn't fit. Not to mention the perceptions of Palin herself. People seem to either love her or hate her, I don't know why. She can't possibly be wonderful and horrible at the same time. I think a person's reaction to her says more about the person than it does about her. And now some McCain staffers are coming out defending her, while the ones who make these wild accusations lurk in the shadows, knowing that if they release their names their careers will be over forever. They mismanaged the whole thing horribly. They put Palin in a bubble during the campaign. She didn't even know about half the attacks against her until after it was over. Bottom line, the Pitbull was on something she'd never been on before: a leash. And you could see her straining to snap it early on. She has always done things her way, she hasn't had anything else, the establishment has always rejected her. These people are just bitter because she wouldn't toe their line. After all, they're very important and must be listened to, otherwise it hurts their self-esteem. (sniff) "Poor witto babies." Here's a clue: she doesn't have to do anything you say, you brilliant engineers of a horrible campaign. Just be grateful her respect for John McCain keeps her from telling the truth about you. She's no second banana, she's the Big Cheese. And if she runs for POTUS in 2012, it's gonna be done Sarah's way. Because that's the best way, that's the way that works, that's the way that will actually win the White House. 3. Purdum is entirely ignorant of Alaska and its politics. "To be sure, Palin is “conservative,” whatever that means, but she can be all over the lot in the articulation of her platform. The man is clearly ignorant of Alaska politics and the uniqueness of its constitution. The ignorance is so thick, I can't even stoop to answer such a bizarre smear. "Palin was able to increase the annual distribution from the state’s Permanent Fund to about $3,000 per resident, almost double the amount received theprevious year. She could be a fiscal conservative and a big spender all at the same time." And they call us the ignorant hicks. Purdum wouldn't know the Permanent Fund from the hole in his head. The question is, is he just ignorant, or is he blatantly ignoring the facts to smear Palin? Not to mention he slams Alaska itself, giving it the same kind of condenscension Katie Couric did with her newspaper question. On a sidenote, what on earth is up with Hickel? Could somebody in Alaska answer that? Is he upset she didn't give him a position or something? Did he expect that since (as he so pompously stated) he had "made her" that she should crawl on her hands and knees and be grateful to him forever? Why do all of these people think it's their job to treat her like a five-year-old and tell her what to do? Kinda cute pic of her on page 4. Lovin' the frown. "(The one time Meg Stapleton, who handles Palin’s personal and political public relations, ever answered multiple e-mails was when I wrote her and Palin’s gubernatorial office at the same time, and she replied: “Thank you for emailing. I will email you separately so as to remove us from the state account.”)"
Of course, he made it sound like something nefarious was going on because Meg did not use a state email account to respond to him. Dude, Meg would have had ethics complaints coming out of her ears if she had answered on the state email for something that - hey, check it out! - wasn't state business. Todd, love ya, but you're not state business! And talking to you has nothing to do with state documents. You are a hack. And apparently Tibbles was the true person behind Palin's effectiveness, because when Nizich got in there as Chief of Staff, it all went downhill (rolls eyes). Give me a break. I also love the allegations that much of Palin's success was due to Democrats loving her. That's been our whole point for quite awhile now. Dems didn't start to hate her until she started to run against Obama. That should tell you something right there. These Dems had worked with her for almost two years. Did she suddenly become an idiot? Please. More like she dared to challenge their Messiah. As for the McCain aides, somebody's lying. It's either the people who say they love working with Palin or the people who say they hate working with Palin. Considering that the majority of the garbage reviewed so far is laughably false, my money's on the haters, but that's just me. I will say one thing, I think Palin doesn't always think about how things appear in the media. She's a straightforward person, not always aware of the facade that the media creates. As Ziegler said, I think she was a little naive about that. 4. Purdum contradicts himself (what a shocker). Throughout the article, Todd is very careful to portray Palin as the diva, someone concerned with nothing but her own success. And then he spouts out of the other side of his mouth that she paid an inordinate amount of attention to Alaska and ignored the success of the campaign. Which one is it, Todd? If she was only concerned about her own career advancement, she would have dropped Alaska like a hot potato. And after the election she would have become a regular on the Fox News cycle, just like every other washed up campaign nominee (Romney, Huckabee, Gingrich, etc....). It doesn't take much to see through this guy's rhetoric. All you have to do is look at the reality of what actually happened. Unfortunately, many people will believe anything, even a lie about what they saw take place in front of their own eyes. 5. Todd is occasionally hillarious. Not only is Palin full of herself, she's also a little looney (according to Purdum). "More than once in my travels in Alaska, people brought up, without prompting, the question of Palin’s extravagant self-regard. Several told me, independently of one another, that they had consulted the definition of “narcissistic personality disorder” in the Diagnostic and Statistical Manual of Mental Disorders—“a pervasive pattern of grandiosity (in fantasy or behavior), need for admiration, and lack of empathy”—and thought it fit her perfectly. "Several told me." Yeah, and I can guess their names: Tweedle Dee, Tweedle Dum, Hickory Dickory Dock, and the Little Green Man who tap dances on your forehead at night. Also known as Linda Beagle (Celtic Diva), Andree McCleoud, Phil Munger, and AKMuckraker. When I read his characterization of her letter to her family, I laughed out loud. If I had had milk in my mouth, it would've been spurting out of my nose. The man has clearly fallen off of his rocker. I doubt seriously he was ever seated firmly on it in the first place. And that post-partum thing was simultaneously sick and hillarious. I mean, if there was one thing Palin was during the campaign it was depressed, right? Oh, yes. She looks very sad. I can definitely see how someone could draw that conclusion. Classy allegation, Schmidt. Enjoy your new place on the dirtbag list. The attacks on Todd Palin being too involved are just plain sexist. I mean, think about it, if Todd were a first lady, would anybody have any problem with him being a part of the state government atmosphere? I mean, come on, Eleanor Roosevelt practically ran the country for a while there, nobody complains about that. I'll betcha Laura Bush hung around alot, nobody complained about that. Hillary got involved with major legislation when she was first lady, nobody complained about that. There's only one explanation for the treatment of Todd Palin: sexism. Yes, ladies, apparently it does cut both ways. It's also a slam to the ladies, since, after all, women can't be in positions of power without constantly having to prove that they can do it all by themselves with no help at all, even though men constantly rely on their wives. The double standards would be hillarious if they weren't so true. "Sarah Palin is a star in Evansville and all the many Evansvilles of America, but there is a big part of the Republican Party—the Wall Street wing, the national-security wing—in which she cuts no ice." Amen! Amen! I don't want her cutting ice with those losers. I want them eating her snow-dust! Also, he reads Palin's "If I die, I die" statement as a sign that she's tired and rundown. It's a sign that she's geared up, that she's got nothing to lose, and that she will fight with all her strength and leave the results in Hands that are much more powerful than hers. Now, there are some things in the article I don't know about (like Lyda Green's accusation and the insurance thing), but I don't really have the initiative to look them up. Why? Because when Purdum blatantly mischaracterizes and flat-out lies about so many things I do know the truth about, it makes me doubt seriously his veracity on the things I don't know about, so why waste valuable time? "She started with a dedicated corps of sort of right-wing true believers who killed themselves for her, and got her going." Ready to fall on a couple of swords for Sarah? I've often thought about political leaders in the Bible. Take David, for instance. David had a ton of enemies before and during his kingship. But he also had a band of "mighty men," who would do anything for him. These were people whose loyalty compelled them to fight their way through a Philistine host to get their captain a drink of water, without him even asking. And so, before I turn in, I salute my fellow barbarians. Let's go get a drink of water, shall we? How did Rush Limbaugh put it? "A glittering jewel of colossal ignorance." Obama, dude, whatever mind you had, is gone now. "Honduras is more of a democracy today than it was three days ago," Micheletti told Reuters. "There was no coup here. The country and the majority of its citizens support the democratic succession...."
Micheletti told Reuters that if Zelaya had remained in power, Honduras would have ended up following his whims rather than the law. "I have always felt that a politician is to be judged by the animosities he excites among his opponents." Gregg Erickson wrote an opinion piece in the Anchorage Daily News on Sunday. You can find it here. In this article he basically tries to prop up his slam on Palin by saying that he admired her transparency in government when she first came in, but since then her administration has become the most closed administration so far. What does he use for proof of this wild accusation? "This month she refused to release even her official schedule or reveal when she is leaving the state." But I'm sure that's Erickson's main beef. Not that Palin isn't open and transparent, but that she doesn't willingly give out information that could lead to her getting shot. I think these people have all lost their minds. Their hatred for Palin clouds their better judgment.